In the past decade, there’s been a great deal of talk about how the education industry is going to be revolutionized, and that we can do away with classrooms and universities altogether. There is nothing new about this. However, the revolution that has been predicted some many times has never really come. People learn efficiently because they are together, because they can have a discussion about their ideas, because they are with a professor who can adapt to their learning style. This book gives some background ideas to this debate and to why the bricks and mortar university is not quite dead yet. Psychology, education, social/cultural patterns, situated learning, behavioral learning, cognitive learning. If you go back to the 1920s, it was said that correspondence courses would also get rid of universities, because people could simply send off the assignments they had to do, and receive the books and further work in the post. In the 1960s, it was said that the cassette recorder and recorded lectures would also do away with bricks and mortar university. In the last decade, the Internet, and now with massive open online courses, or MOOCs, it is said that this will similarly seal the demise of the old university. In the midst of all this, it is nice to have a reminder of one thing, that learning is fundamentally a social process. This book by sets out just why learning is; fundamentally based on the social context. Learning, according to the authors, an anthropologist and a Computer Scientist, has a central characteristic. This is a process they call “legitimate peripheral participation.” As part of a group, learners participate in communities of practice. They share ideas, they have debates, they exchange opinions and it is this discourse that leads to them efficient active learning. Of course, this does not have to be in a classroom. In fact, the ideas they discuss deal with a variety of different situations. They talk about midwives and how they exchange practices of delivering babies. They talk about butchers exchanging ideas about their professions, and also non-drinking alcoholics and their day-to-day battle with giving up drink. Learners, they say, will inevitably participate in communities of practice and becoming a master requires that a newcomer will move towards full participation in the social/cultural practices of a community. By having such a debate, abstract notions can then become meaningful in real situations. 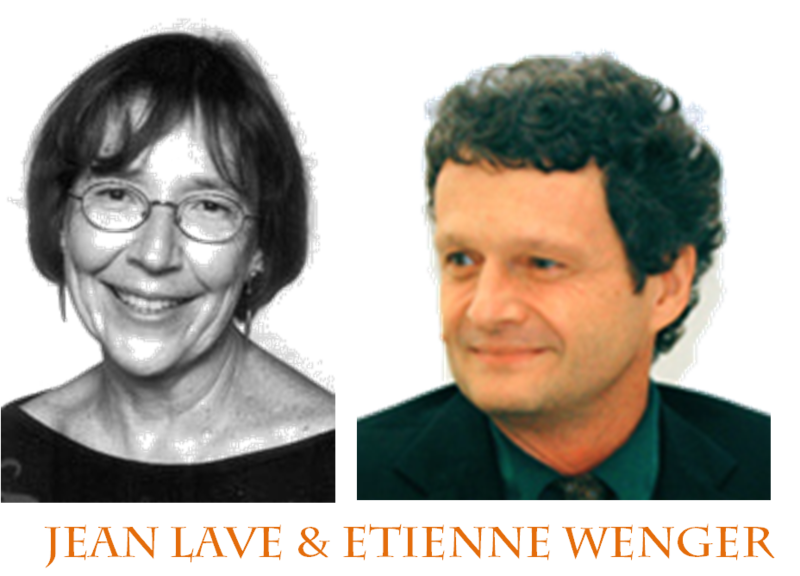 Etienne Wenger: What is situated learning? When the authors deal with schools, they equally have a critical analysis. In fact, they don’t see that knowledge is decontextualized as people often claim. Rather, they say that schools themselves are social institutions and places of learning, and have specific contexts. This means that a certain part of learning that is done is relevant. Others may be less so. 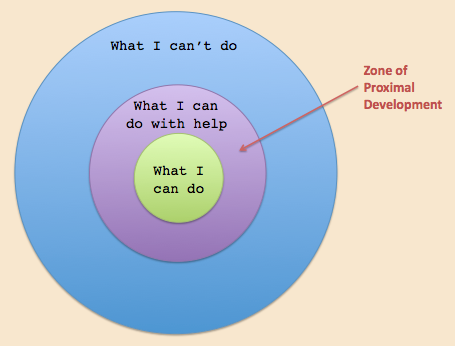 Vygotsky’s concept of zone of proximal development. The book also deals with Vygotsky’s concept of zone of proximal development. A very basic summary of this would be that, at certain stages, we are ready to actually learn certain things because they are close to what we have already understood. If we go too far, then we simply can’t do it. Without knowing such concepts, most practiced teachers will actually understand that. You simply can’t make jumps in the educational development of your students and expect them to understand. What the book also shows quite clearly is that, in the different cases that they bring up, there is a very little, observable teacher, the most basic phenomenon of, in fact, learning. A practice community, therefore, creates a curriculum in the very broad sense of the word, where a general set of ideas are exchanged but not in any particular order. As the authors say, a learning curriculum enfolds an opportunity for engagement of practice. We also construct a new identity. Thus, engaging in practice is probably a condition for the effectiveness of learning. If you are in something like a business school, you will also understand this. It’s one of the reasons students are made to do internships, because they simply need to not only construct their identities as future graduates, but also practice a certain number of things they didn’t learn in the classroom. Professors of HR management, in particular, will tell you it is very difficult to teach the subject until the student has been confronted with real problems within a company. The book shows quite clearly that learning is not a commodity; it’s not just a series of facts, but something that has to be learned as a process-driven, situation-based skill. It’s reassuring to know that practice is still needed, and that universities or business schools cannot teach students everything. Similarly, by actually having some kind of formal structured education, participants will develop their skills in a particular domain far more efficiently. General knowledge only has power in specific circumstances. Learning is an integral part of generative social practice in the lived-in world. The organization of schooling as an educational form is predicated on claims that knowledge can be decontextualized, and yet schools themselves as social institutions and as places of learning constitute very specific contexts. A theory of social practice emphasizes the relational interdependency of agent and world, activity, meaning, cognition, learning, and knowing. It emphasizes the inherently socially negotiated character of meaning and the interested, concerned character of the thought and action of persons-inactivity. Participation is always based on situated negotiation and renegotiation of meaning in the world. Learning involves the construction of identities. 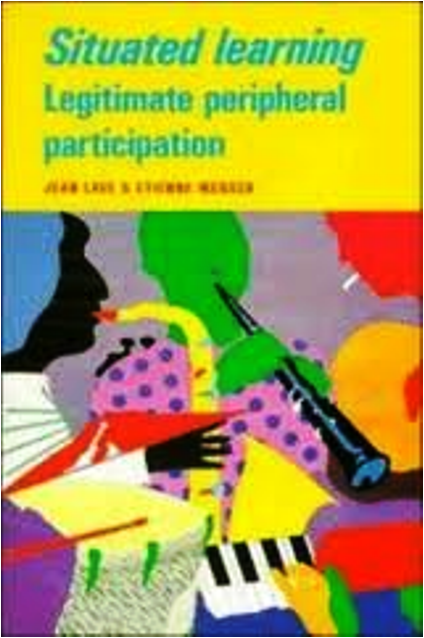 Analysis of learning through legitimate peripheral participation must take into consideration various apects. Any given attempt to analyze a form of learning through legitimate peripheral participation must involve analysis of the political and social organization of that form, its historical development, and the effects of both of these on sustained possibilities for learning. The importance of language should not, however, be overlooked. Language is part of practice, and it is in practice that people learn. The important point concerning learning is one of access to practice as resource for learning, rather than to instruction. A learning curriculum consists of situated opportunities (thus including exemplars of various sorts often thought of as ‘goals’) for the improvisational development of new practice (Lave 1989). A learning curriculum is a field of learning resources in everyday practice viewed from the perspective of learners. Successful politicians quickly mastered how to talk in the manner of full participants. As Jordan (1989) argues, learning to become a legitimate participant in a community involves learning how to talk (and be silent) in the manner of full participants. The notion of ‘proper speech’ is so clearly crystallized in the collective expectations of the community. I want to use this post to publicize a blog that is being written by some 25 students from my school, who are currently studying finance in New York. The students have gone up there for one semester to study a program that we jointly set up with Pace University to give them the ins and outs of finance in the USA, and also to show them some of the best practices of working in the United States. This week, Philip Warwick, Senior Teaching Fellow at Durham University Business School, UK, writes at guest blog on the state of internationalisation in British universities. Professor Warwick has been studying the international strategies of a number of universities in the UK and in other countries. He has found that approaches vary across countries. Within the UK he has identified four specific strategies to international development within the group of universities he studied. At the AACSB Associate Deans Conference in Houston, Texas, Andrea Hershatter, Senior Associate Dean at the Goizueta Business School, Emory University gave a wonderful presentation about the Millennial Generation. 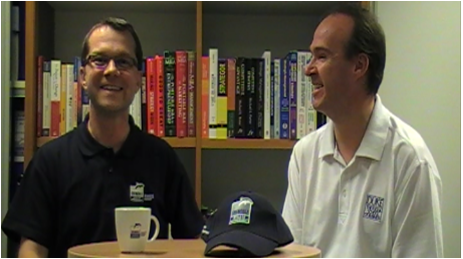 It was such a rich, entertaining and well researched talk, that it really would be difficult to do it justice in a short blog. (And no, I’m not her agent!) This short article sets out some of the main ideas, but if you get the chance I highly recommend that you go and see her speak. Inspirational video by Rick Mereki. Nobel Prize winner and one of the best sellers this year. A must read for any business student. If you only ever read one personal development book in your life, read this. Why are some companies having problems keeping good staff? How do you manage to keep them? Learn about The IKEA Effect, The Baby Jessica Effect and why large bonuses make CEOS less effective. A fun book that show why humans don’t always behave in a rational manner. 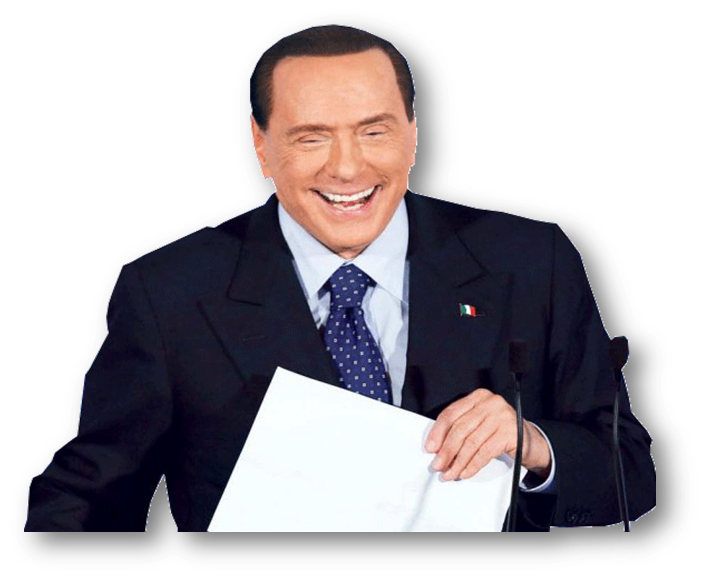 One of the most charismatic leaders of the 1980s. Still worth reading.